On Thursday (13 March 2013) Delegates at the Convention on International Trade in Endangered Species of Wild Fauna and Flora (CITES) ratified a vote cast earlier in the week, adding five species of shark to the list of plants and animals whose international trade is regulated. Thursday, as expected, Japan called for a reopening of the debate on the oceanic whitetip shark, the first of the shark proposals to be considered. However, they narrowly failed (by about 1%) to reach the necessary number of votes for the debate to reopen. 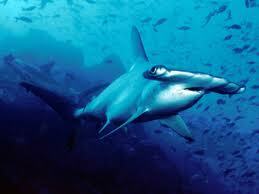 A similar attempt to reopen the debates for three hammerhead shark species also failed. There was no attempt to reopen the debate on the Porbeagle shark. These five shark species, along with two species of manta, now will be added to Appendix II of CITES, which allows legal and sustainable trade, but which will strictly controll, via permits, the export of shark fins. Beel has been interested in this issue for itself and in anticipation of the activity on Twitter. Friends, please allow Beel to present a couple of graphs that summarize tweets featuring the term “shark” during the past week. (source: Beel) Click on graph to embiggen. First, results from Topsy Analytics. 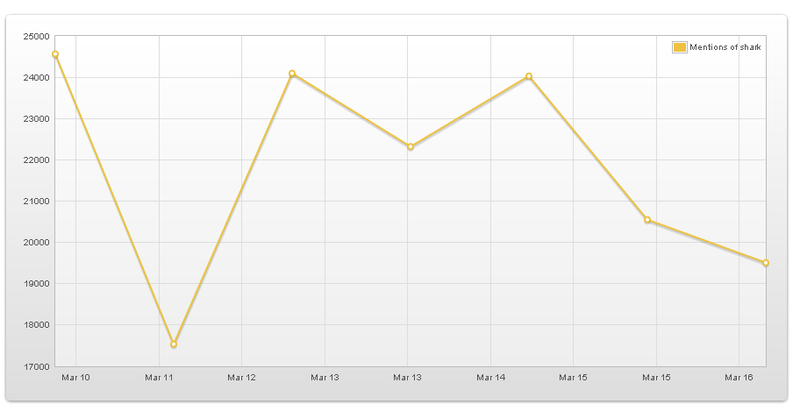 The number of tweets was unusually high throughout the week. On March 9, news stories about the upcoming CITES votes figured prominently. On March 12, the twitterverse was alive with tweets about the intial CITES voted that extended protection to the five sharks and two manta rays and a news story about an Australian man who lost his job saving children from a potential shark attack. On March 14, news about CITES upholding the intial vote was tweeted about, but in terms of volume this story fell far, far behind the story about a shark dying during shooting of a Kmart commercial. Prioties being priorities and all. All in all, the tweets were very favorable for sharks. And CITES. This is good. 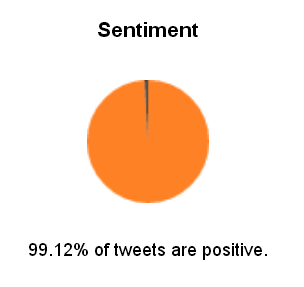 Tweets remained positive, overall throughout the week, even though they were negative in response to the shark death. This entry was posted on March 17, 2013 by denstormer in Conservation and tagged marine fish, queryomics, sharks, Topsy Analytics, Twitter.